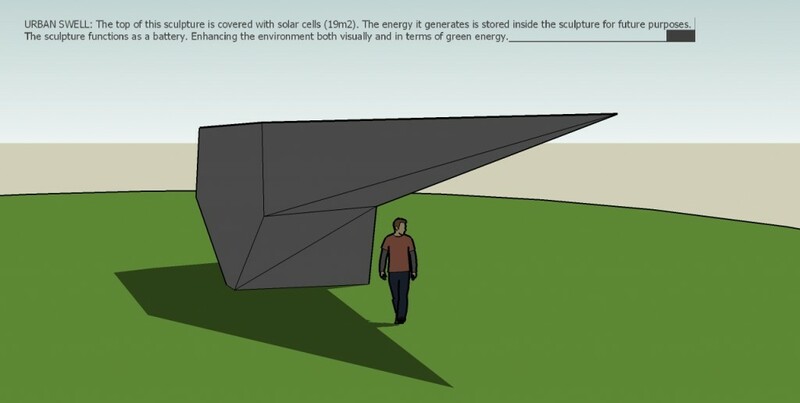 The UBAN SWELL series were designed to combine monumental scale sculptures with means to generate or store renewable energy. These sculptures would react to their environment and by doing so, add more than just the visual aspects. In some of the designs, the sculpture would visualize the dynamics registered in a particular place and act like a realtime 3D graph.